GOT Baits Atomic Cloud is a versatile additive, which attracts and holds fish in a swim. 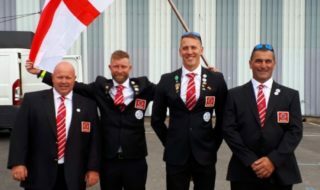 The attractant was designed and developed by Trevor Price, MD of GOT Baits and his colleague and co-founder of GOT Baits, Gary Thorpe, who happens to be the world match record holder thanks to a massive weight of 498lb 10oz in five hours. 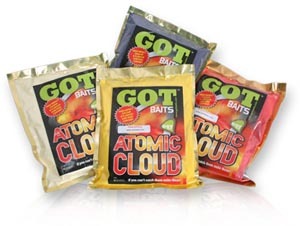 Atomic Cloud comes out of the bag as a powder, and can be mixed with normal baits, such as groundbait, pellets, meat, maggots, casters or even chopped worm. Certain flavours lend themselves better to certain baits (see below). However, the Atomic Cloud itself can also be used on its own as a slop, or just used as a powder. 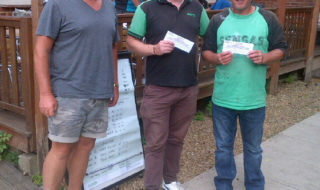 We met Gary Thorpe at Alders Farm fishery to find out how GOT Baits Atomic Cloud can be put to good effect. Gary begins by pouring some Atomic Cloud Corn flavour straight from the bag into a pole pot and dropping in a few grains of sweet corn. Pouring the powder into the swim it takes a minute or so before the fish appear just below the water. By the time the next cup is going in, the fish are in a frenzy. The interesting thing was how quickly the fish came into feed. Amazingly it doesn’t end there, it holds the fish in the swim for some minutes after pouring in the Atomic Cloud powder and the fish are still there hunting for the source. “It isn’t always as fast as that and sometimes it can take three or four cupfuls over 10 minutes to draw the fish in. Different flavours work at different times”. 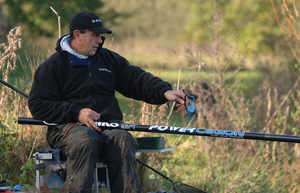 We move a peg away from the frenzy we’ve just witnessed and Gary mixes some Atomic Cloud strawberry with some water. This time he puts the water in his pole feeder cup and pours this into the margin. This is a little different and takes a little longer for the fish to come into the margin, but sure enough they do and that’s without putting any loose feed in at all. Just the liquid mix of Strawberry Atomic Cloud is enough to draw them in. The carp are in and looking for food, and are still there five minutes after feeding. Not just did the fish come quickly, they hung around even after the colour had disippated. 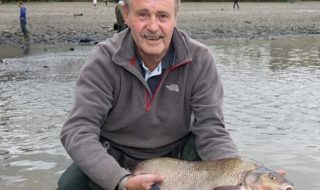 “The whole effect of the flavour, colour, sound of it dropping onto the water and then the lingering cloud are keeping the fish interested,” adds Gary. Gary is keen to show me what happens when using the atomic cloud with solid baits. Taking some sweetcorn, Gary mixes this with some of the Atomic Strawberry and within minutes the corn has turned red. Taking a handful of this and dropping it into a clear tank gives away the reason the fish are so drawn to Atomic Cloud. All around the corn at the bottom of the tank is a sea of the Atomic Strawberry attractants being released through the water. Gary explains that it only takes one fish to be wafting around and this then spreads the attractants out further, through the water. The sweetcorn, simply, looks more attractive. He does the same with some maggots and we see the same effect. “Although there are some obvious Atomic Cloud flavours that go with some specific baits, it is important to experiment,” says Gary. The obvious Atomic Cloud and bait combinations are below. However, as Gary says, it sometimes takes something different to draw the fish in, so don’t be afraid to try different combinations. Caster: Atomic Cloud Worm, particularly when mixed with chopped worm. The atomic cloud range can be ordered with next day delivery along with the rest of the GOT Baits range at FishingBaits.biz by clicking HERE.